Custom memorial benches are a beautiful tribute to friends, loved ones, and community members. The Memorial Bench is the perfect way to commemorate your loved ones that have passed in a special, unique way. 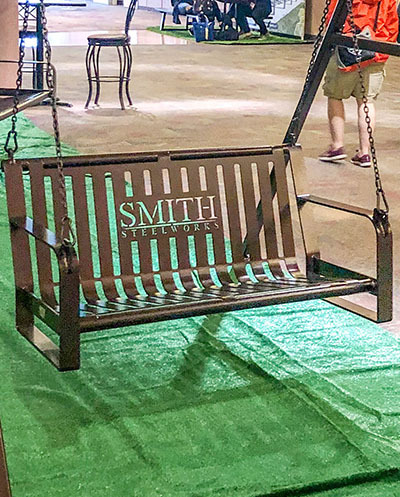 We offer two memorial products: Memorial Benches and Memorial Swings. Each option is available with personalized laser cut design options including: portraits, inscriptions, designs, and more. Our team will work with you every step of the way to create the type of memorial bench that you have envisioned. To get started on your metal bench order, click the link below or give us a call at (801) 414-1724. Be sure to specify which type of bench style you would like for the Memorial Bench. We offer three styles: Classic, Arched, and Metropolitan. No two people are alike, so neither are the memorial benches. The bench is the perfect place to tell a small part of your loved one’s story. Below are examples of previous benches that we have worked on. Click below to learn more about each bench’s story. 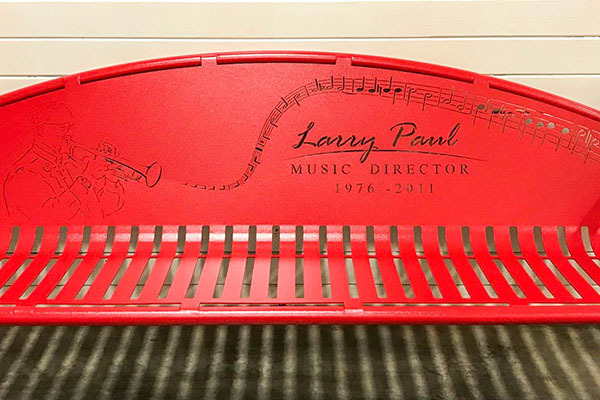 A snare drum styled bench to celebrate an amazing musician’s life. The bench also features a holder on each end for others to place their own pair of drumsticks in remembrance. A personalized memorial bench with laser cut features including: a portrait, mountains, and a temple. This bench was installed at a local park for a place for friends and family to pay tribute. This memorial bench was designed to remember the victims, first responders, attendees, and all those affected from the Las Vegas tragedy. It was dedicated November 4th in Peccole Ranch. Learn how a commemorative bench can be a healing process in you and your family’s life. A beautiful, special bench for a little princess. It installed at a park surrounded by friends and family. This bench was created to honor the victims of the Pulse Night Club Shooting. Always in our hearts. A custom memorial bench for a loving husband, friend, and fire fighter chief in Salt Lake City. The memorial benches are perfect additions to cemeteries and public parks for remembrance. To honor a police officer, Officer Matthew Baxter, because heroes are never forgotten. The Hannah Jolley Bench features a photo of her, along with the Mt. Timpanogos Temple. A custom bench for a loved young man that incorporates some of his own original artwork. The memorial bench creates a unique space to share stories, memories, laughs, and tears. This bench was designed to remember Reagan’s little pigtails, favorite flowers, and balloons. Crew’s Memorial Bench is a beautiful tribute for him and a way for his siblings to keep his memory close. This Remembrance Bench was made to honor a school nurse, friend, and community member. Custom rodeo bench to celebrate a legend. Click below to learn more about this bench. 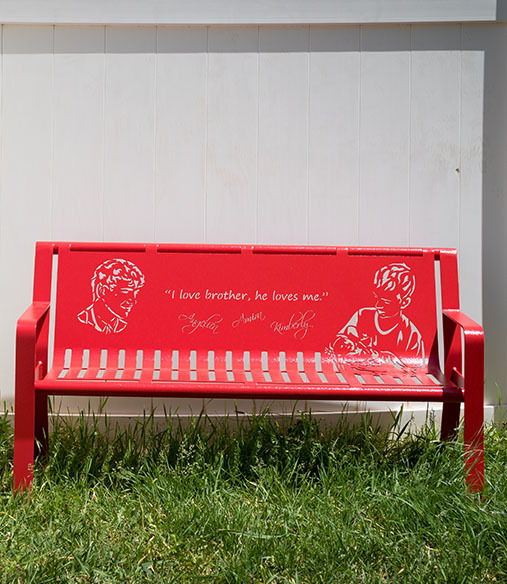 A beautiful bench tribute to remember a brother and sister who are gone too soon. Designed to honor the family’s Little Princess who will forever be in their hearts and minds. Why not put the memorial bench somewhere special? This park bench is located on a golf course. Honor someone for their years of service in the community with a custom Retirement Bench. This is a custom laser cut memorial bench that was installed at a local school campus. Remember Benches are available in a variety of colors, including Weather Green and other classic colors. Adding portraits to the memorial bench is a sure way to make the steel bench feel special. 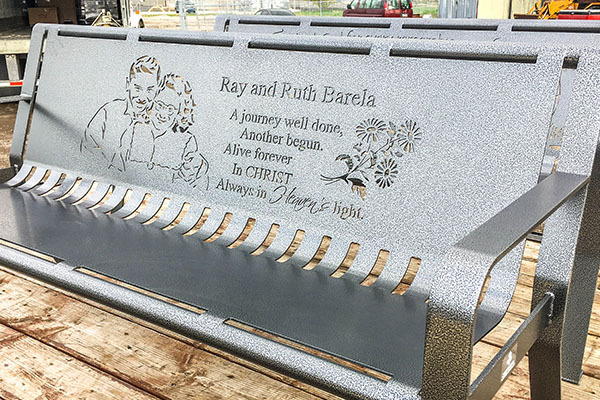 Beautiful photos of the Barela Famiy were incorporated into this custom parent memorial bench. Pay tribute to a student or teacher by adding a memorial bench to the school. It is a beautiful way to help the community heal. The laser cut memorial benches are designed to compliment any location. Whether the memorial bench is being installed in a public park, cemetery, or memorial garden, it will add beauty and class. Our team of artists create intricate designs that help personalize the memorial bench. This includes the addition of portraits, inscriptions, sceneries, and other custom designs. As bench manufacturers, we understand the importance of having the metal withstand harsh weather conditions. We use stainless steel foot pads that prevent rust and corrosion from creeping up the bench legs. 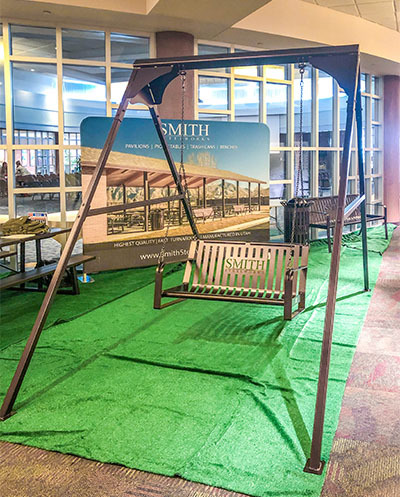 Each outdoor bench is also sandblasted, primed, and powder coated to protect the bare metal from outdoor exposure by preventing chips and scratches. Each bench is designed to last for years and years to come. To achieve this longevity, the body of the bench is cut from a single sheet of metal that is then bent into place. This allows for fewer welds; creating less points of weakness. When welds are used, our craftsman only use fully closed welds. This procedure keeps out unwanted moisture from building up.